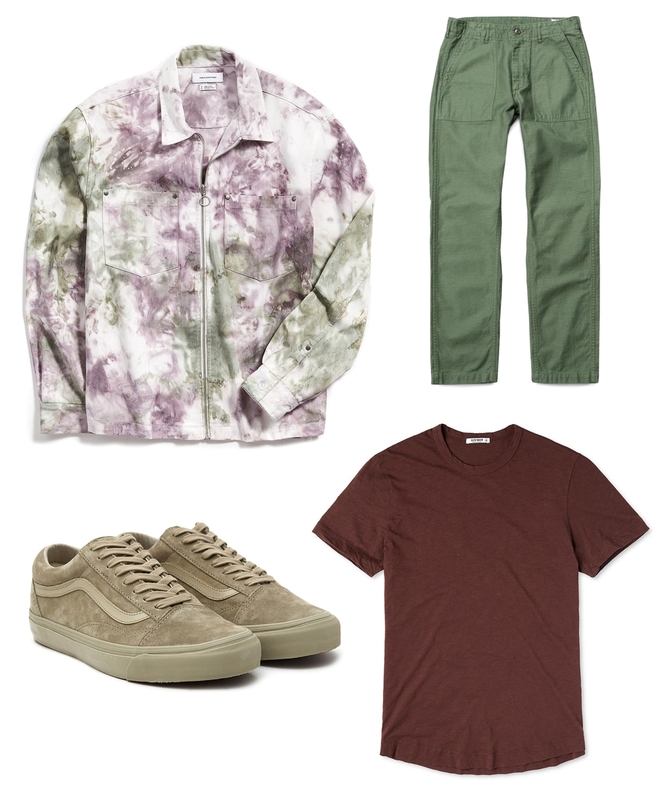 4 Ways to Wear Tie-Dye | Valet. Tie-dye styles have definitely been a wave for a bit. Brave, bold men like Pharrell paved the way and stylish insiders have been following suit for the past few seasons. Now, it seems, the resist-dyeing technique that produces the psychedelic kaleidoscope of colors is, well, hard to resist. 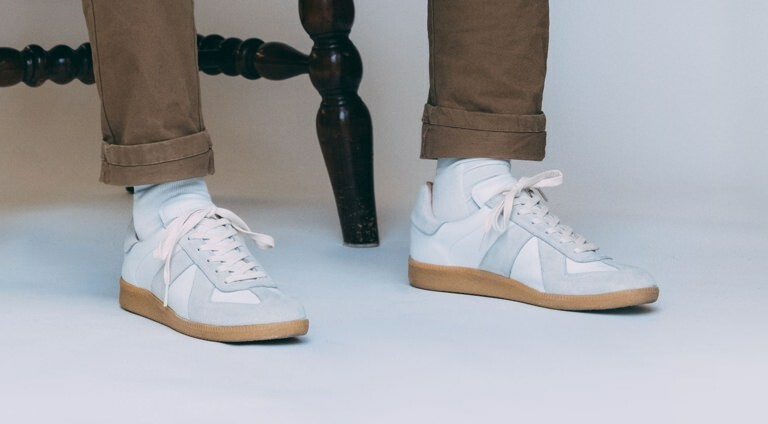 These days, brands both big and small are saturating everything from socks and sweaters to hoodies and jackets with streaks and splotches. 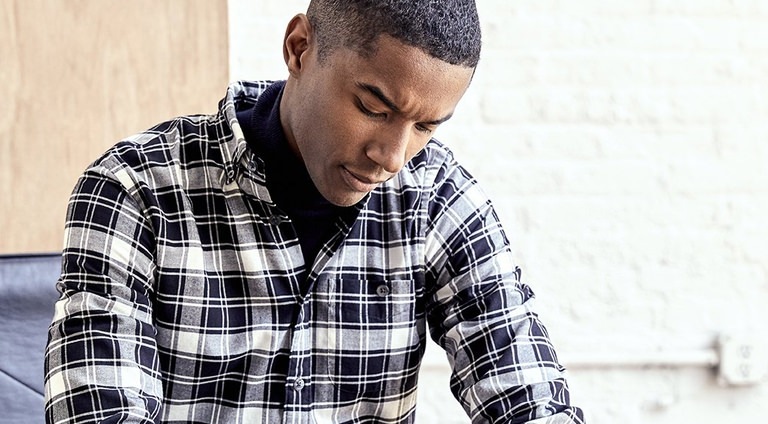 From the more marbled, minimalist styles of The Elder Statesman and Todd Snyder, to the full-on and far out options by streetwear brands like Stüssy and RVCA, there's something for anyone willing to give it a try. Trust us, these pops of color are easier to wear than you might think. What's more, they put everyone in a better mood. Not just you, but everybody around you as well. In an all-too-serious news environment or just in the middle of a cold, dreary winter, a little tie-dye goes a long way to add some much needed chill to your day. 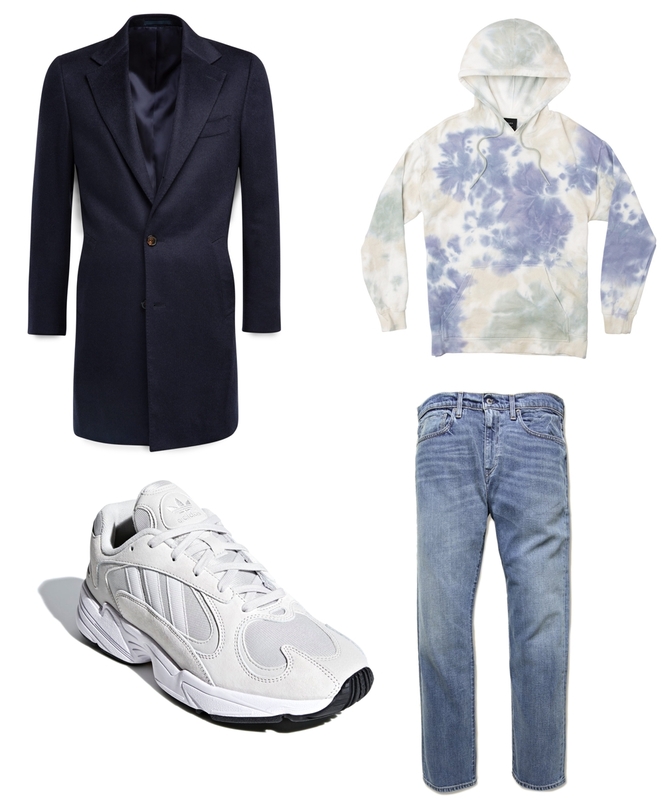 Herewith, four easy ways to work it into your wardrobe. If your workplace is relaxed enough for you to wear a sweatshirt to, then it's the kind of place that can tolerate a little tie-dye. Opt for a more subdued style and pair it with a reliable pair of chinos. 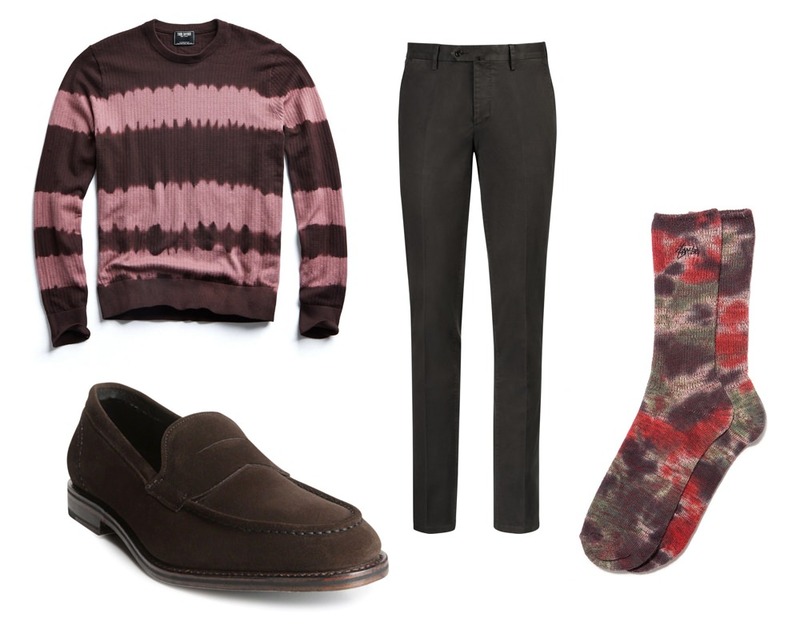 Or let some some dip-died socks peek out from your loafers. It's a simple swap. 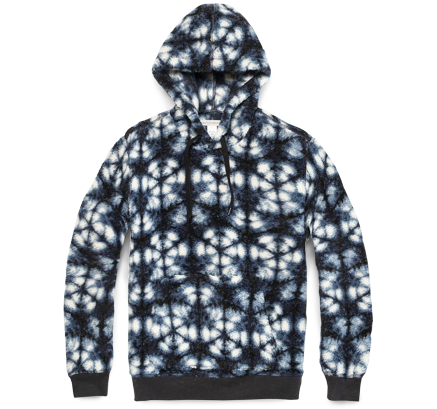 Replace your standard hoodie (which is likely in a neutral shade of navy or grey) with one that's been tie-dyed. 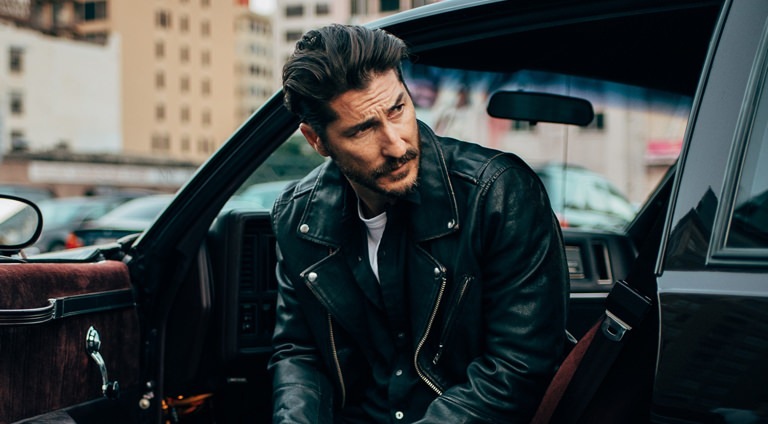 Layering a jacket or coat over your hoodie lets those random strands of color pop out and give the rest of your relaxed look a nice shot of modern style. 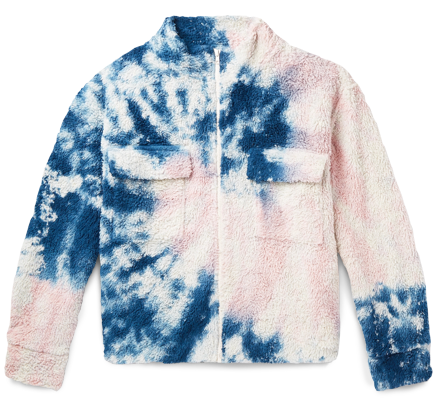 If you really want to make an impact, pull on a shirt jacket or overshirt that's been tie-dyed. 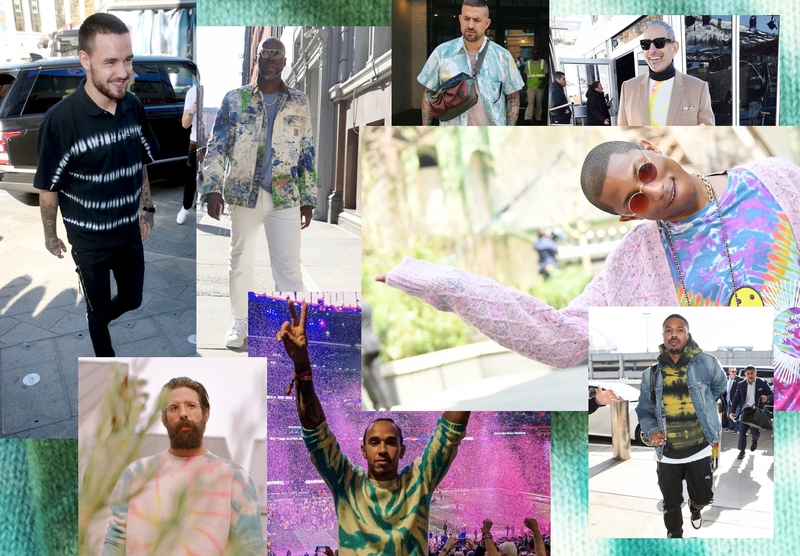 Layer it over a plain T-shirt and wear it like you would camo or another bold print and keep the rest of your outfit more low-key to let the tie-dye shine. Get the benefit of two trends in one. Fleece is also enjoying a resurgence as of late. 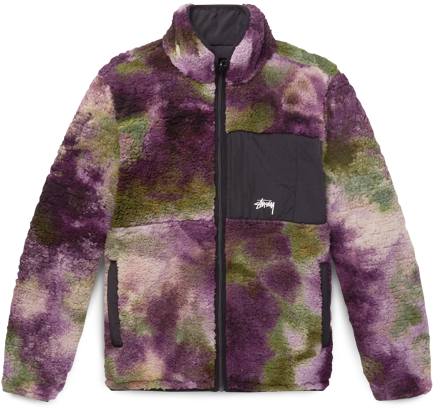 These dip-dyed and shibori-influenced fleece jackets are an ideal mid-layer in the winter and come spring, make for cozy, textured outerwear on their own.